Harris Hawaii Realty Group was formed in 2008 as an independent real estate brokerage in the state of Hawaii. The company's focus is on luxury vacation properties on Maui, sales and management. Harris Hawaii also manages the front desk and operates an office at the Kuleana Resort, as well as managing the in-house rental program. Harris Hawaii has offices at The Fairway Shops in The Kaanapali Resort, and in Wailea at The Wailea Town Center. A licensed Hawaii Realtor since 1986, Ken has lived and worked in the west Maui area for over 25 years. Initially working with ERA Maui Properties, then Sullivan Properties, and West Maui Land Company. 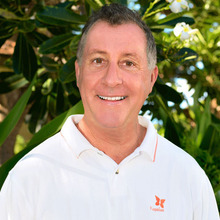 Ken formed Harris Hawaii Realty Group in 2008, and is Principal Broker. Loving her community and appreciating where she calls home, Kimberly is passionate in her career and all aspects of her life. Your Neighbor is her Neighbor! Referrals are greatly appreciated and will be well taken care of. 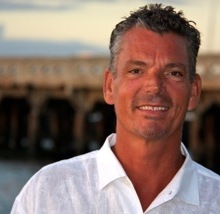 Eric has held his Real Estate license in the State of Hawaii for the last ten years. He has helped dozens of families secure their own deed to the island of Maui. Living on Maui since 1992 he cannot imagine a better place as home.